Connecticut Public Television > Inside CPTV > Memory Rescue with Daniel Amen, M.D. 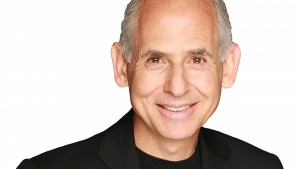 Award-winning psychiatrist, neuroscientist, and 10-time New York Times bestselling author Dr. Daniel Amen shows viewers how to supercharge their memory and remember what matters most. Viewers will learn how they can improve their memory – and even rescue it if they feel it’s headed for trouble. Amen’s idea to strengthen memory is based on treating the 11 major risk factors, most of which are either preventable or treatable. He explains why knowing one’s risk factors and how to overcome them is critical to rescuing memory. On CPTV: Thursday, March 14, 2019 at 8 p.m.